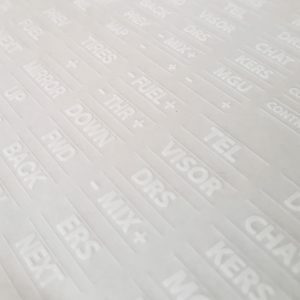 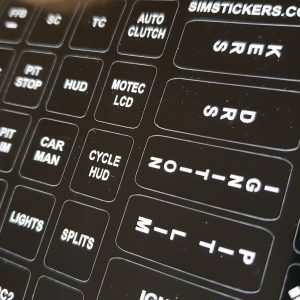 CLEAR version 1 Custom Made sim racing sticker sheet for button boxes or steering wheels. 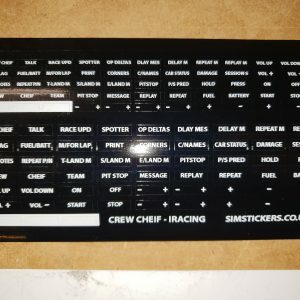 BLACK CREW CHEIF version Custom Made sim racing sticker sheet for button boxes or steering wheels. 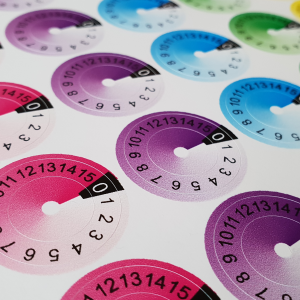 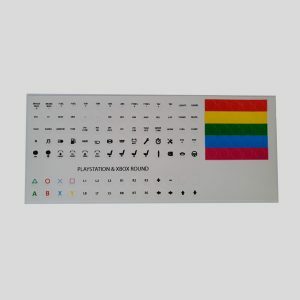 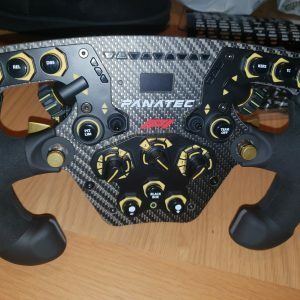 BLACK Fanatec version Custom Made sim racing sticker sheet for button boxes or steering wheels. 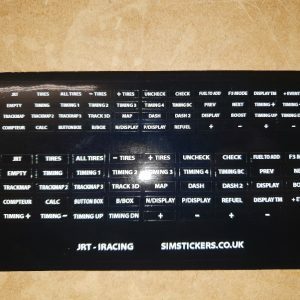 BLACK JRT version Custom Made sim racing sticker sheet for button boxes or steering wheels. 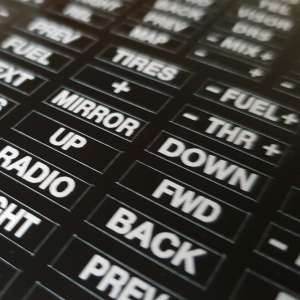 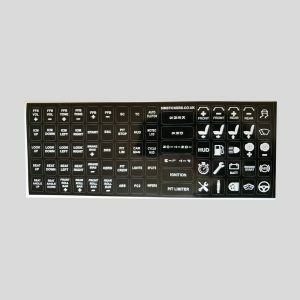 BLACK version 1 Custom Made sim racing sticker sheet for button boxes or steering wheels. 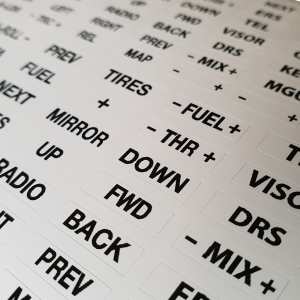 WHITE version 1 Custom Made sim racing sticker sheet for button boxes or steering wheels. 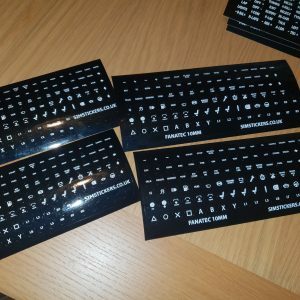 BLACK version Custom Made sim racing sticker sheet to help turn a standard keyboard in to a button box. 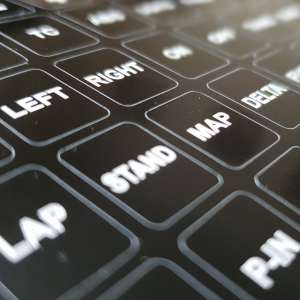 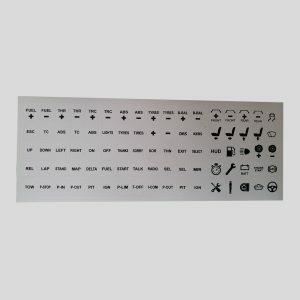 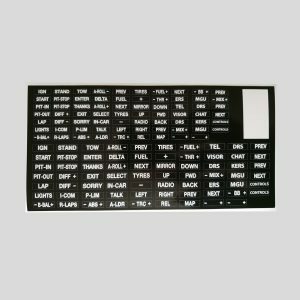 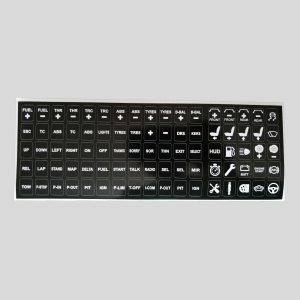 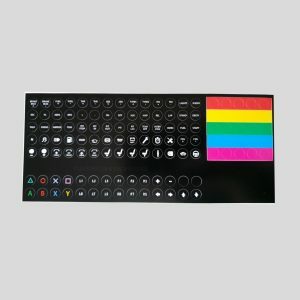 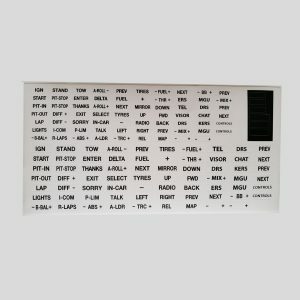 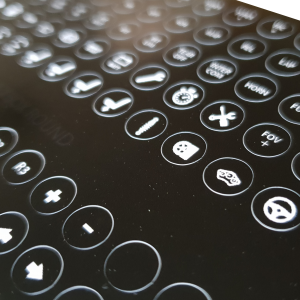 Project Cars 2 version Custom Made sim racing sticker sheet to help turn a standard keyboard in to a button box for use with Project Cars 2. 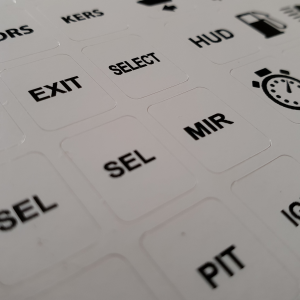 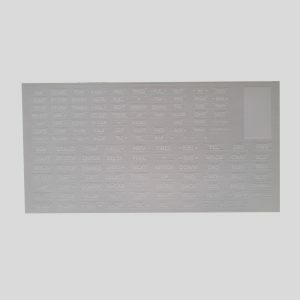 WHITE version Custom Made sim racing sticker sheet to help turn a standard keyboard in to a button box. 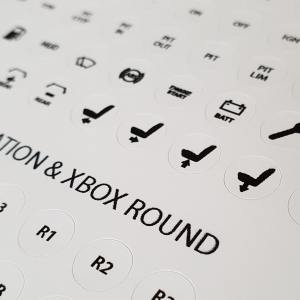 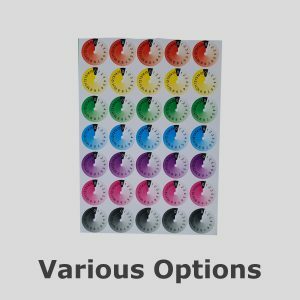 ROTARY STICKERS various versions Custom Made sim racing sticker sheet for button boxes or steering wheels.